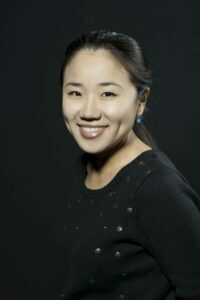 Pianist Esther Park is among the “friends” joining Causa for the finale. It’s hard to believe we’re already nearing the end of another season of the Geneva Music Festival. Time flies when you’re enjoying diverse, dynamic performances across many genres. The 2018 Season wraps up this weekend with the Chamber Music Finale, “Ettore Causa and Friends.” The concert will take place on June 15 in Skaneateles, and June 16 in Geneva. Causa joins GMF founding musicians cellist Hannah Collins and violinist Geoffrey Herd, and friends violinist Shawn Moore and pianist Esther Park to perform treasured chamber works including Bartok Piano Quintet in C Major and Haydn String Quartet in D Major Op. 1 no. 3. Also, don’t miss this year’s Father’s Day event, a show of “footstompin’ fiddlin’ fun” at Ravines Winery. Food will be available for purchase separately. Tickets are still available to all concerts. Adult admission to each concert and an after-concert reception are $25 (ages 18 and under are free). All venues are wheelchair accessible and air conditioned. Tickets, complete schedule and more information are available online.